Eugenia Baykova was born in 1907 in St. Petersburg. In the early 1930s she studied at the Leningrad Art and Industrial Technical School. In 1934 Baikova entered the picturesque department of the Leningrad Institute of Painting, Sculpture and Architecture. She studied with Mikhail Bernshtein, Boris Vogel, Semyon Abugov, Henry Pavlovsky, Pavel Naumov, Alexander Osmerkin. In 1940 she graduated from the institute in the workshop of Alexander Osmerkin. She had a articipation in exhibitions since 1934. After the start of the Great Patriotic War, Baykova remained in Leningrad, participated in the defense of the city. Member of the Leningrad Union of Artists since 1944. She wrote everyday and thematic compositions, portraits, landscapes. 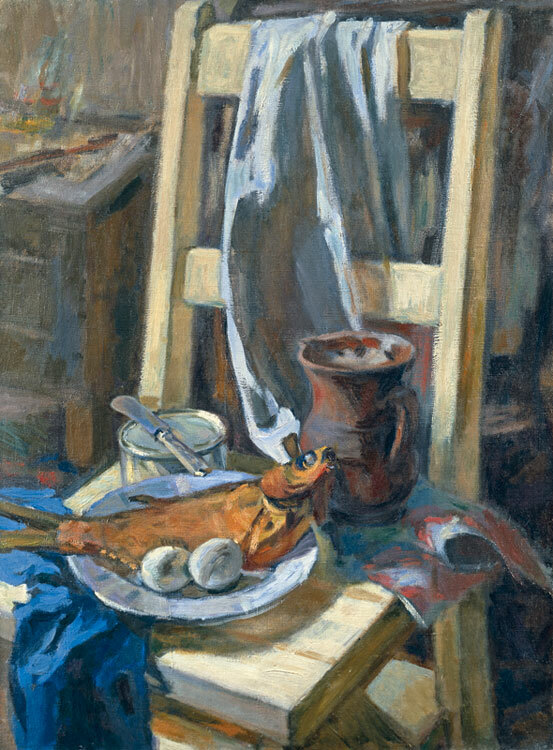 The most complete features of Baikova's picturesque talent were revealed in the genre of still life. Sht was married to the famous artist V. I. Malagis (1902 - 1974). The works of Eugenia Baykova are in the State Russian Museum, in museums and private collections in Russia, France, Germany, Norway and other countries.